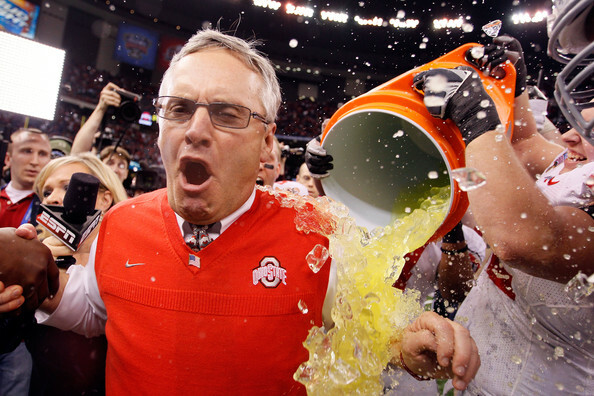 Jim Tressel's Gatorade bath following the Sugar Bowl will be his last as head coach at Ohio State. Given the embarrassing black eye that he has bestowed upon one of the proudest universities in big-time college football I guess it is ultimately no surprise to learn that Jim Tressel has coached his last game at Ohio State, but with the Buckeyes now squarely in the sights of NCAA investigators it is still unclear if this move will significantly reduce the inevitable penalties the school now appears to be facing. From the president to the staff to the fans, Ohio State has long been among the national leaders in football arrogance. When the president said last fall that schools such as Boise State and TCU didn’t belong on the same field as the Buckeyes, the Buckeye Nation shook their heads in agreement. 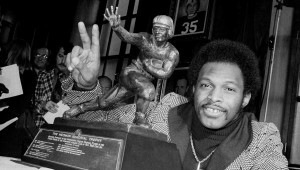 But what made Ohio State so proud and they believed justified their cockiness wasn’t just their great record on the field, but also the pride in knowing that they accomplished their success the right way. While other programs were regularly answering NCAA inquiries, the Buckeyes ran what seemed like a clean program and were under the leadership of a coach who wrote books about integrity and doing things the right way. But then last December the walls started to come down on this great facade. Just days before facing Arkansas in the Sugar Bowl, news came out that five players, including star quarterback Terrelle Pryor, had violated NCAA rules by selling rings and other memorabilia for cash and reduced prices on tattoos. 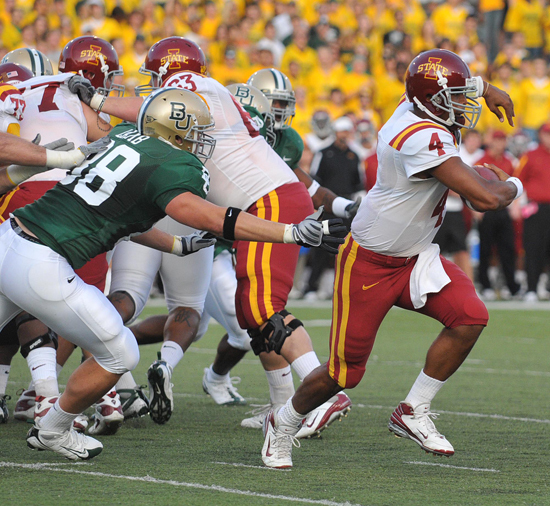 At the time the story seemed very contained and only became more than a minor story when the NCAA suspended the players for the first five games of the 2011 season, but let them play in the bowl game. Nick Saban has Alabama poised for another run, but can they repeat as champions? 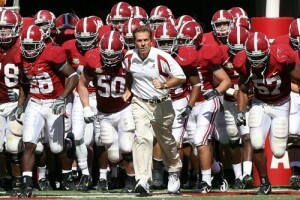 After romping through an undefeated 2009 season, many experts have ordained Nick Saban and the Alabama Crimson Tide as the team to beat again in 2010. While Alabama will again be formidable, it will be hard for them to overcome the loss of most of the defensive stars that carried them past Florida and Texas and to an undefeated record a year ago. While last season there was little question that Alabama, Texas and Florida were the undisputed best teams in college football (unless of course you are a fan of TCU and Boise State), in 2010 it may be a little harder to gauge which college teams are the cream of the crop. Across the board, college football teams lost a plethora of talented players that must be replaced in 2010. The teams that are able to rise from the pack in 2010 will be those that have new players and former backups ready to play at the highest level.